Dorian Harewood stars as real-life Texas engineer Lenell Geter, who in 1982 was accused of armed robbery. Beyond the fact that both he and the suspect are African-American, Geter looks nothing at all like the actual robber; still, he is identified as the culprit in a police lineup. Despite the testimony of six character witnesses, all of whom were with Geter at the time of the robbery, he is sentenced to life imprisonment. He very likely would have remained in prison had not the CBS investigative series 60 Minutes told Geter's story to millions of viewers. The authorities refuse to acknowledge the possibility that they have erred, and attempt to block a re-opening of the case. Even Geter's court-appointed attorney (Dabney Coleman) is unsympathetic to his client's plight. But Geter's somewhat ingenuous faith in the American justice system is eventually rewarded, and he is finally set free. 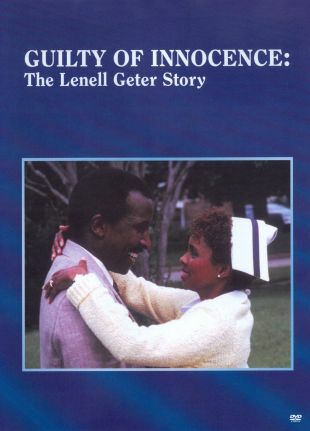 Guilty of Innocence was originally telecast February 3, 1987.